Flashlights are an essential part of every home, office, car or camp. There are so many times when you need some extra light, whether it is when you are looking for something in your closet or a storm knocks out your electricity. It is also frustrating when you reach for a flashlight and the batteries are no good. You don’t have to worry about that anymore. Just reach for your rechargeable torches and they will save the day. Rechargeable torches come with a variety of charging options. They can have an internal charging capacity which allows the torch to be charged directly on a stand that is plugged into the wall. These are great because you will always know where they are and you won’t have to fumble around in the dark to find one buried in a drawer somewhere. Some models come with a separate charger that are used to charge the torch like you would your cell phone. Other types use rechargeable batteries that have to be charged with a separate charger. Various models come with car adaptors and USB chargers to give another option for recharging your torch. Most of the flashlights use LED bulbs which are more efficient and last longer on a single charge than the older halogen ones. They are also usually much brighter than their old fashioned counterparts. LED Torches Australia has many varieties available for purchase that have variable brightness controls and strobe options. Some of the models offered will automatically turn on during a power outage and they are attached to the charging station. 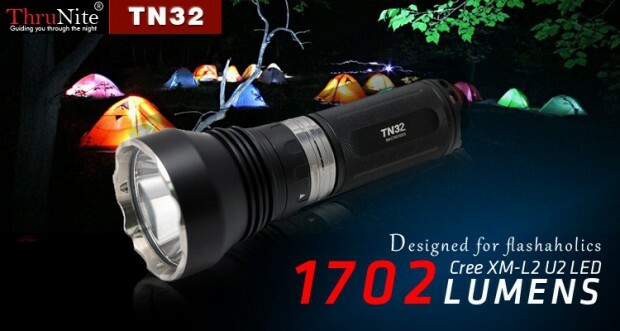 Flashlights of this type are usually a little larger and heavier than the ones that take replaceable alkaline batteries. They are heavier because they are made with heavy-duty materials to make them more durable. Because of their construction, they are also more expensive to purchase, but in the long run, they are cheaper because you don’t have to keep buying batteries. This can be a costly affair. Alkaline batteries are a huge problem for our environment. Many of them that end up in landfills have dangerous lead, cadmium and mercury in them that may seep into the soil and water and contaminate the area for years to come. The number of batteries disposed of in this way has become a huge problem that needs to be dealt with. The use of rechargeable batteries and torches will take great strides in limiting the amount of pollution from batteries entering our environment. LED Torches Australia carry 13 different varieties of rechargeable torches. They range in price from $100.00 to $600.00. Some models have a charger that can also charge other rechargeable devices such as a phone or mp3 player. The models vary greatly in recharging time; anywhere from 3 to 10 hours. The length of time they will stay lit on one charge, will depend on how bright you have the torch set at. Usually, the more expensive models take less time to charge and will stay lit longer. The different models also come with different accessories for different applications. Rechargeable torches are definitely the way to light the future. LED Torches Australia offer a wide variety of models that can serve any purpose from home convenience to tactical rescue use. The price varies greatly and is dependent on the charging mechanism, type of battery, varying features, and accessories that are included. These flashlights are a knight in shining armour for the environment as well as personal convenience and performance. Once you own one of these, you will never use another battery operated flashlight again.